I spent the night in the Emergency Room recently. I was expecting a nightmare. After all, Israel’s socialized healthcare system is supposed to be crumbling. There’s a shortage of doctors and hospital beds; waits for specialists can take months, physicians are allotted patients at impossibly tight intervals. So when I woke up at 3 am with shooting pains just below my breastbone, my first response was: Do everything you can to suffer at home. Just don’t go to the hospital. It will pass. Watch a few episodes of “The Good Place.” Ted Danson and Kristen Bell will distract you. But when the pain continued at a level beyond which I could tolerate, I had no choice. My wife Jody drove us to the nearest facility: Jerusalem’s Sha’arei Tzedek Medical Center. When it was all over, my verdict from our experience in the ER: surprisingly not bad. I was hopeful when we got to the waiting room and found it mostly deserted except for this one guy in hand and leg cuffs. He was in a jovial mood, joking around with his posse of police; clearly it wasn’t the first time they’d been together. Rachel, the English-speaking nurse took my blood and checked my vital signs within 15 minutes of arrival. Another nurse hooked me up to an EKG. Everything came out OK. But the pain in my upper abdomen was stabbing like a bad trip to Damascus Gate. I was given a bed and hooked up to an IV where they put me on a drip of pain killers. It took another couple of hours but the misery finally subsided. We chose Sha’arei Tzedek’s Emergency Room because we feel an awkward connection to the place. 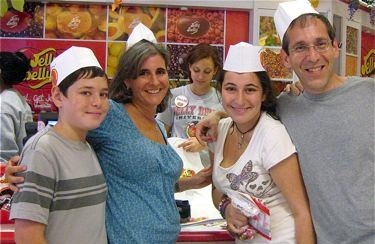 It was David Applebaum’s last job before his murder in the suicide bomb attack at the Café Hillel on Jerusalem’s Emek Refaim Street, in 2013. Applebaum, who was also our neighbor (our kids played together in the park) was already an icon in the Israeli medical world – he established the Terem Emergency Medical Centers network that now serves as first line care in many cities, taking a much-needed burden off the country’s overcrowded hospitals. Applebaum was having coffee with his daughter Nava the night before her wedding when the bomb went off. Seven people were killed, including both the bride and her father. Applebaum was rushed to the emergency room he managed but it was too late. Applebaum had left Terem a few years earlier to transform Sha’arei Tzedek’s ER into a model of efficiency and compassion in an era when Israelis were being blown up on a near daily basis. Fourteen years later, it lives up to its reputation. But as well run as it may be, there’s no getting around the fact that it’s just not large enough for the number of sick people. Not only was I not given a room (private or otherwise), my bed in the hallway next to one of the nurses’ stations wasn’t even temporary. There was a number on the wall that indicated this was a permanent space. I was taken good care of, but it wasn’t the place to recuperate or sleep, what with the lights on full blast while doctors, nurses and other patients streamed past me (and Jody, trying to rest in a hard plastic chair) for the next 7 hours. A maddening beeping sound played unabated until the end of my stay, the audio replacement for the stabbing pains in my belly. I couldn’t figure out what it was until I saw a man being wheeled out of the room, his face encased in a breathing mask. The beeping was the indicator – for all to hear far and wide – that he was still alive. “No,” the doctor shook her head. The disheartening answer: you’re not sick enough. “Our job is to keep you alive. Diagnosis belongs to your HMO,” she said. The doctor nodded her approval. She wrote up some prescriptions and, an hour later, I was unceremoniously discharged. I had another reason for wanting to get out of there: Hospitals are no place to get better. In fact, you’re more likely to catch one of those antibiotic-resistant superbugs terrorizing medical facilities. In the United States, the Centers for Disease Control and Prevention reports that one out of every 25 hospital patients contracts a healthcare-associated infection (HAI) and one in seven catheter and surgery-related HAIs is caused by an antibiotic-resistant superbug. Twenty percent of patients who leave a U.S. hospital return within a month. I’ve been out of the hospital a few weeks now and I’ve taken my pills diligently. My HMO approved more tests; we’re still trying to get to the bottom of my pain. My stay in the ER wasn’t exactly how I’d intended to spend the night, but everyone was remarkably pleasant for an Israeli bureaucracy, which was reassuring if something ever goes catastrophically wrong. My only regret: that I didn’t take advantage of the “full experience” and receive the chauffeured ride to the hospital…in the ambulance. 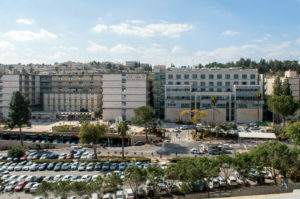 I first described my ER experience in The Jerusalem Post.